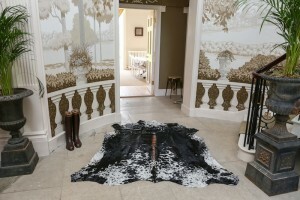 The Significance of Nguni Cattle to the Lives of Zulus now and then. 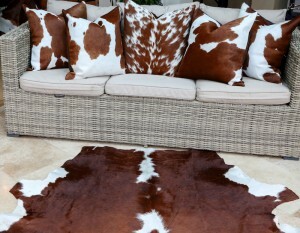 All Zulucow’s cowhide products are ‘by-products’ and sustainably-sourced from the indigenous Nguni cattle of KwaZulu Natal in South Africa. These cattle play a significant role in South Africa’s cultural heritage. They have always had an economic, social, political and spiritual importance to the Zulu people too; both past and present. The Zulus are still passionate about their ‘ibheshu’ – the nguni cowhide rear- aprons they wear for special, ceremonial dances and commemorations. 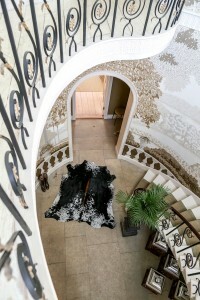 These ‘Ibheshu’ are to this day, made from beautiful Nguni cowhide. 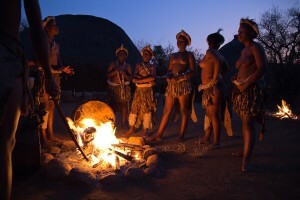 Ceremonial Zulu dancing; young girls wearing their Nguni cowhide ‘Ibheshu’ skins. The cattle breed is indigenous to southern Africa ie. South Africa, Swaziland, Namibia, Zimbabwe, Botswana and Angola. The ancestors of today’s cattle were brought by the Xhosa, Zulu and Swazi people, during their migration to Southern Africa, from East Africa, between 600 and 1400 AD. 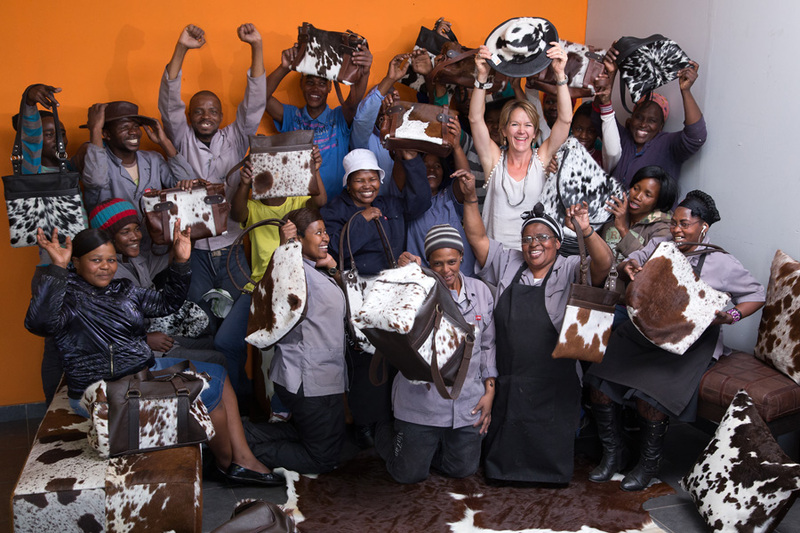 And now, the Nguni are creating sustainable long-term jobs and desperately-needed income; via the tanning of their hides and consequent production of Zulucow’s rugs, cushions, bags,belts and accessories. 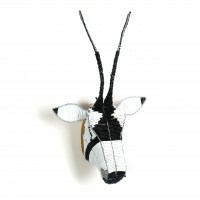 (All the hides Zulucow sources are ethically sourced and a by-product of the meat industry. More than 67 Zulus, Mozambicans and Zimbabweans are employed in the tannery and workshop in KwaZulu Natal. With well over 50% unemployment in South Africa; especially in rural areas; this is a lifeline for many families. Zulus have traditionally and still to this day, breed Nguni cattle for their attractive colouring and beautiful markings. King Shaka of the Zulus (reign: 1816-1828) bred specific colour patterns into his Nguni herds in order to produce skins for the many regiments of his army. His elite personal guard was recognised by the pure white cowhides they wore, from the royal herd, ‘the inyonikayiphumuli’ Whereas the more common black and white hides were worn by a lesser Zulu warrior. This would help in battle, to identify who was in command; in the confusion of fighting. A Zulu herdsman with his ‘ibheshu’ and ‘amaShoba’ (cow tails worn to give the appearance of a bulky body.